MNDR’s latest feature with Jai Wolf, “Like It’s Over”, was released today on Mom & Pop. Check out the single below and add it to your playlists! WonderSound artist MNDR is featured on the chart topping new full length album “Skin” from Australia’s Flume. MNDR’s vocal floats “Like Water” over Flume’s dark off beat production. J-pop heroes M-Flo have tapped MNDR for the 2nd official MNDR release in Japan. 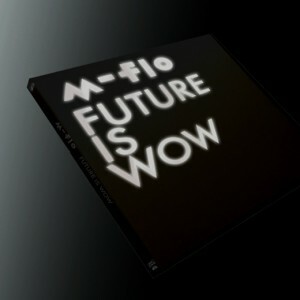 “Young & Restless” is track #7 on M-Flo’s “Future is Wow” album out today! The CD packaging features an album cover that changes at night. (Think glow in the dark.) The night version can be seen below. Check out the new video for Japan’s E-Girls’ “Rydeen” featuring a guest appearance (vocal only) from WonderSound’s very own MNDR. The song is a cover of the classic Yellow Magic Orchestra tune of the same name. You may recognize some parallels here, as Mark Ronson’s “Bang Bang Bang” video referenced the original “Rydeen” for it’s visuals. Now that we’ve come full circle, you can watch all three videos below.